This post is part of the series, Food and Mood. Today’s guest is Kelly Behling. Welcome, Kelly! Last week I officially graduated to my second trimester of pregnancy! After several months of barely being able to tolerate the sight of most foods (except for, Wendy’s, fried chicken, and the occasional smoothie), I celebrated feeling normal again by making one of my very favorite breakfasts of beans and rice. Beans and rice for breakfast? While this is not a particularly novel approach to breakfast in many parts of the world, it’s not how most of us here start our day. Several years ago when I first tried the recipe, I was a bit skeptical (and my husband was downright incredulous), but now we look forward to them as an actual treat! 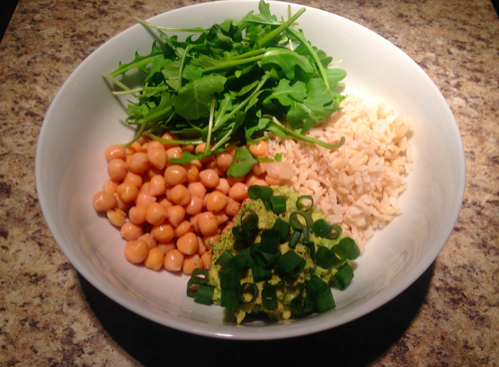 The greens and green onions give the bowl a little zing and the beans, rice, and avocado keep you energized and satisfied throughout the morning. And because I feel so awesome after breakfast, I find that I make healthier food choices throughout the day. The best part is that the recipe is so simple, you can do numerous variations on the main theme based on whatever you have in your fridge and pantry! 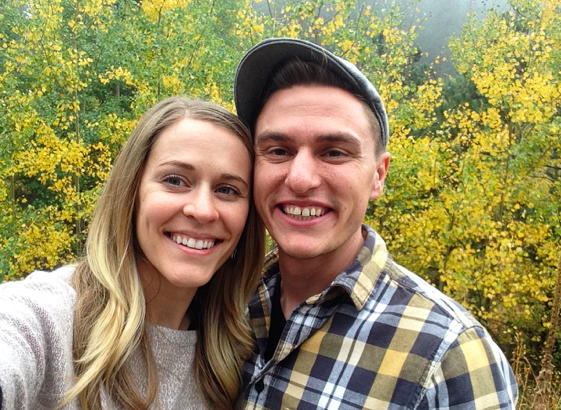 Kelly is an engineer who lives with her husband and her cat, Meatball, in Arvada, CO. She is always seeking the simplest, fastest way to make a healthy, home-cooked meal so she can spend her free time crafting, reading, and preparing for the little one coming in May 2016!